Summer Dance Camps Start Soon!! Save 10% if you enroll in both sessions! Session 2: July 31, August 7, 14 & 21 Ok girlies, it’s time to dust off your tiaras and tutus, pull your glass slippers and wand out of your treasure chest- join us for the ultimate princess party! This creative camp, designed especially for young dancers, is imaginative and adventurous! This camp is filled with dance, games, art projects and glitter galore. Come and join your favorite princesses at Garri Dance Studio for a perfect blend of dance and fun with friends! Yo Ho- Pirates are welcome too! This theatrical experience will give your child the chance to learn all about the theatre while gaining self esteem and confidence in a fun environment. Singing, dancing and acting will be essential in this special Broadway Kids Camp which incorporates some favorite musical reviews. Kids will work with all the facets of being in the theatre- reading scripts, studying scenes, learning choreography and songs and improv will be just a few of the many great activities to tae part in. 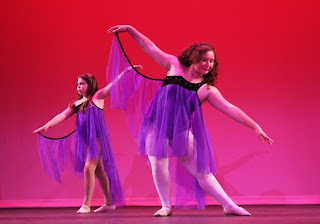 Become a real class act in our Broadway Kids Camp at Garri Dance Studio!! Mother/Daughter Hula was a big hit at our Free Mother’s Day Class in May, so why not keep the fun going this summer? And it’s not just for Mothers and Daughters, bring your Grandma, your Aunt, your best friend- bring anyone who wants to shake their hips this summer to learn some beautiful dances from the Hawaiian Islands. Our last class will be a luau! $65.00 You’ve worked so hard all year perfecting your moves in the After School Hip Hop Class at school, we don’t want you to forget all that you’ve learned! Come to Hip Hop Club on Tuesdays to have fun with friends and learn even more cool hip hop routines. Don’t miss out on the chance to keep those dancing skills so fresh and so clean this summer. Session #2: July 13-17 Become the most well-rounded dancer you can be! Turn, twist, jump, roll & groove in a new and exciting dance camp only at GDS! Studio faculty has got the right moves to teach all the most popular dance genres including hip hop, contemporary, jazz, hula, gymnastics, musical theatre and more! Gimme a G! Gimme a D! Gimme an S! WHAT DOES THAT SPELL? G-D-S!! Show your GDS Spirit as we prepare for our big pep rally! We’ve got cheers, chants, dances and stunts to learn! And, as if that wasn’t enough- We’re going to design our own team t-shirts and pom-poms to wow our audience with the most spectacular pep rally you’ve ever seen! "Summer Fun" Recital was a smash HIT! Garri Dancers big and small took the stage at the Historic Alex Theatre this past Saturday and we are getting rave reviews from every direction. 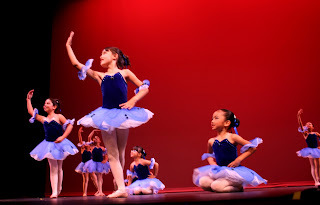 We kicked off the Summer with our "Summer Fun" recital theme this year- Ballet, Jazz, Hip Hop, Hula and Musical Theatre galore wowed the audience into the night. GDS Faculty surprised the audience and performed a beautiful inspirational lyrical dance called "A Teacher's Wish" choreographed by Rochelle Ung. With a great feeling still left over from a wonderful show, we are now going into our Summer Dance Series. Check out what we have to offer at www.BurbankDance.com! The fun never ends at GDS- We will be dancing and having "Summer Fun" all season long. It's that time again... Recital Time!! We hope you can join us for a lovely performance filled with dancers of all ages and abilities while we celebrate our favorite time of year! Come on out for a fun night and kick off your Summer with "Summer Fun"!